Dark dramatic eyes are perfect for the upcoming holidays. Between the variations of deep shades and shimmery lids, there’s just something about this look that screams ‘Festive!’ to me. 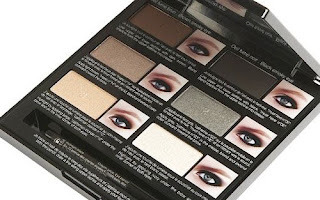 Here’s a look at how to achieve the ever so popular smoky eye. Or rather than individual colors, you could also use a palette like Sephora Collection’s “Pro Lesson Palette” in Smoky Eyes ($28, Sephora.) *As a bonus, the palette also includes step by step directions for achieving the look. 2. Using a neutral eye shadow that closely matches your skin tone; apply that shade all over your lid. 3. Next, using a medium-dark eye shadow of your choice, apply that to the crease of your eye. Don’t forget to blend! 4. With a different brush, take a light-medium eye shadow of your choice and apply that all over your lid. Blend this lightly with the color you just applied to your crease. 5. To create that smoky effect, take the darkest eye shadow of your choice and apply that to the outside corners, or outer “V’s” of your eyes. 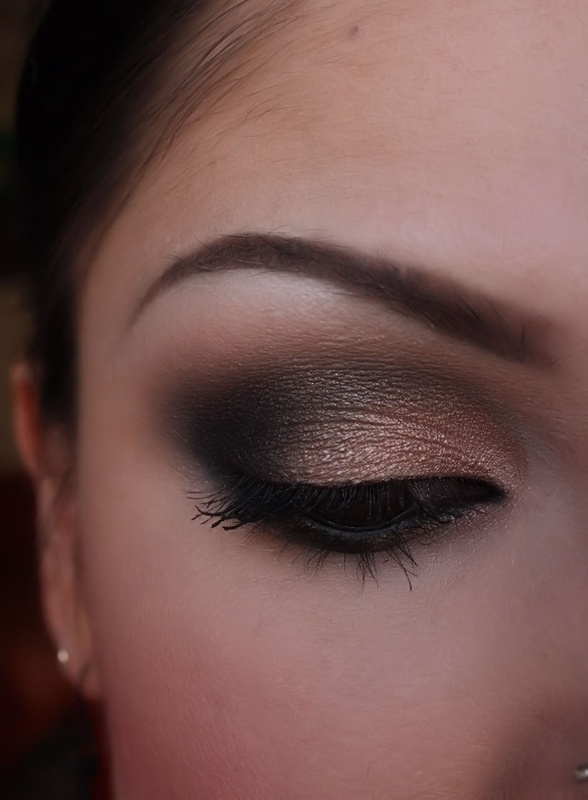 Blend dark shade with crease shade in an upward motion to create a gradual smoked effect. This technique darkens the eye and adds drama. 6. Lastly, with the lightest shade you’ve chosen, apply that with a clean or different brush, to the inner corners (tear ducts) of your eyes and along the brow bone. This technique is more for illusion. Highlighting your tear ducts makes you appear more awake and livens up the eyes, while used underneath the brows- it draws them up, giving you a more youthful appearance. The biggest tip for a smoky eye is to blend, blend, blend! There is nothing worse than being able to see where one shade ends and another begins. Also, when doing a darker eye you can’t forget eyeliner or mascara. If you have to choose only one, go with mascara but don’t neglect the bottom lashes. For the rest of your face keep your makeup light and simple, as your eyes should be the focal point of your look. This is just a basic take on the smoky eye. Feel free to play with colors and techniques, as there are several variations of this look. Are you ready to try it out for yourself? Good luck!